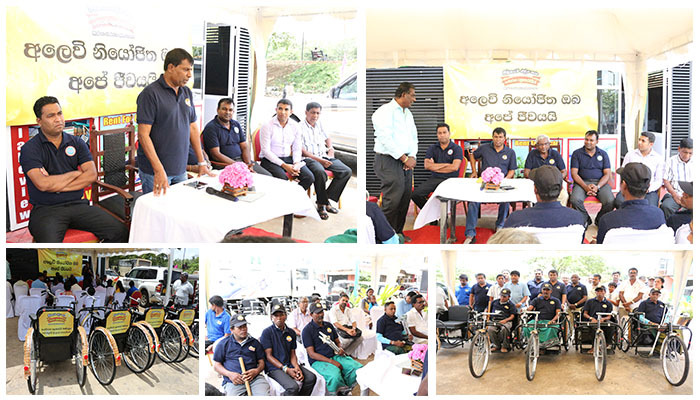 This is the third occasion, where tricycles were awarded to different abled Sales Assistants stepping forward with DLB in order to enhance their livelihood. 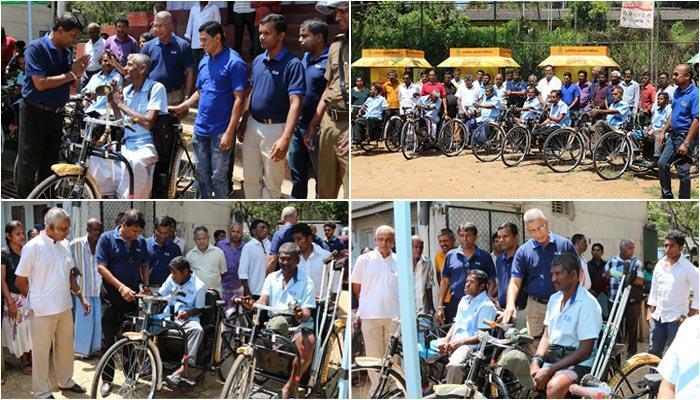 Tricycles, which were designed especially for the benefit of differently abled Sales Assistants, were awarded to 05 Sales Assistants in Anuradhapura district with a view to make their sales activities more convenient and the event took place at the office of district Sales Agents of DLB, Anuradhapura under the patronage of Mr. S.A.P. Suriyapperuma, Chairman and with the participation of the officers of DLB. Mr. S.A.P.Suriyapperuma, Chairman of DLB, whilst addressing the gathering, has stated that the main objective of this programme is to strengthen the Sales Assistants who are working with DLB amidst various hardships and further action would be taken to extend the programme in other districts in due course.